If you're looking for something that sounds like early W.A.S.P. you're going to be disappointed. Lead singer Rich Lewis does at times sound a bit like Blackie Lawless, but any comparisons to W.A.S.P. end right there. It does sound like Randy's Piper's Animal has been living under a rock since the mid-eighties, but Piper's original band is not who RPA brings to mind. These guys are much poppier than W.A.S.P. ever thought of being; closer to Cinderella, Warrant, and the like. That itself is not necessarily a bad thing ... if it is done right. 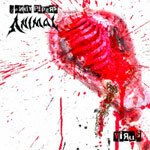 'Virus' is the second release from Randy's Piper's Animal but the first non-W.A.S.P. work that I've heard from Piper. I've always liked W.A.S.P. I've always liked Randy Piper. I really wanted to like this album but in all honesty I could not. I have no problem with the fact that they didn't just rework a bunch of old W.A.S.P. tunes - for me that is a positive. The issue is that the songs on this CD just aren't anything special. The Cranberries' 'Zombie' is a curious choice for a cover tune, and RPA's version is only slightly less excruciating to listen to than the original. Other than that there isn't anything too horrible on 'Virus;' unfortunately there's just nothing great either. No monster guitar playing, no clever lyrics, and nothing to make you pump your fists and yell 'hell yeah,' make it too easy to get bored with this disc too quickly. 'Virus' might make a nice novelty item for a W.A.S.P. loyalist or collector but for the rest of us there's not a lot of value here. There isn't anything too horrible on 'Virus;' unfortunately there's just nothing great either. 'Virus' might make a nice novelty item for a W.A.S.P. loyalist or collector but for the rest of us there's not a lot of value here.